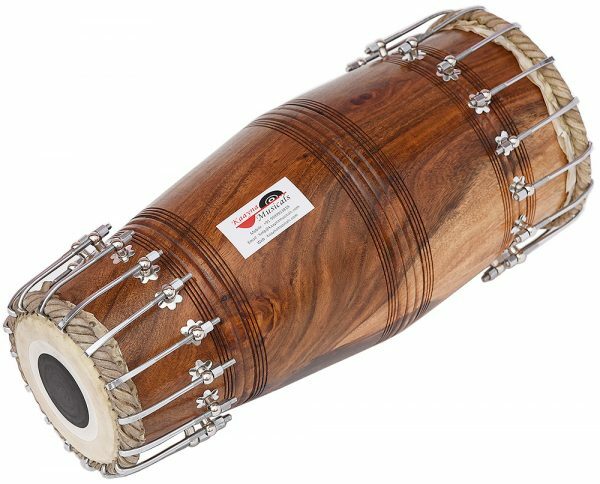 North Indian Mridanga/Mridang Drum – Bolt Tuned, Sheesham Wood, Special Skin, Natural Wood Colour, Gig Bag, Nice Sound, For Bhajan Keertan, Mantra, Dance & Music, etc. 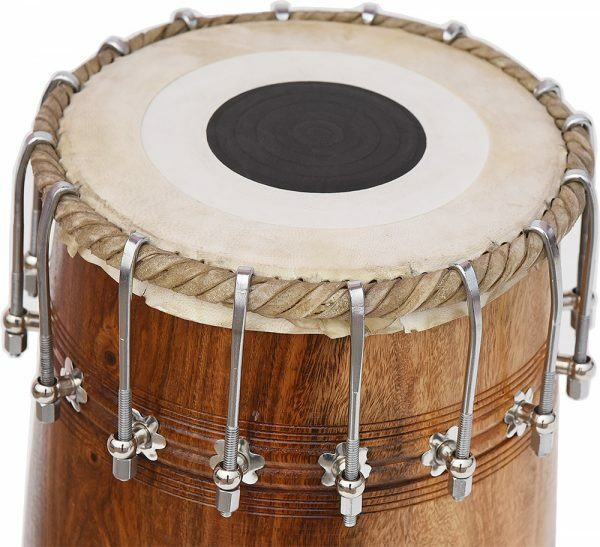 Mirdang (mrdanga, mrdunga, mridunga) is essentially a north Indian version of the Mridangam. The Mirdang is an Ancient Indian barrel shaped percussion instrument. 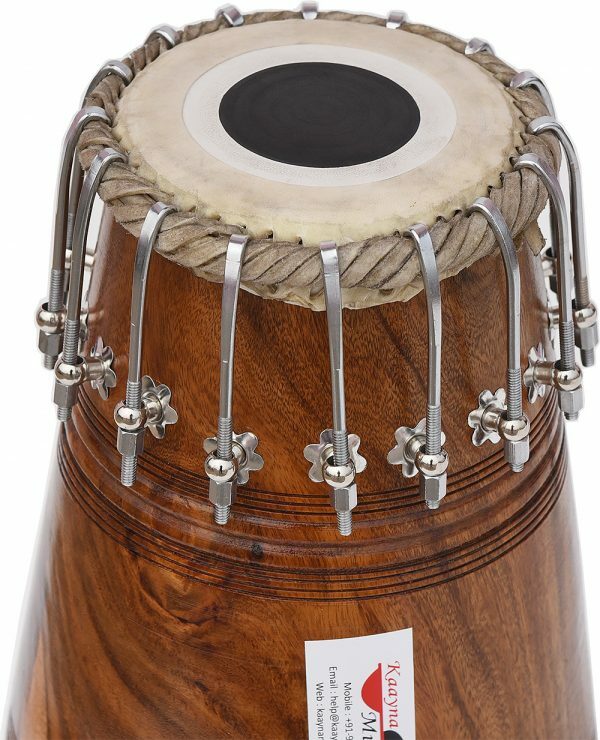 Traditionally, the Mirdang is favorite percussion instrument for north India. Mirdang larger bass-skin is played with the left hand and the treble skin by the right hand. The treble skin is fitted with three concentric rings of dense black hardened paste which helps create a sound resonant with harmonics. The bass fundamental tone will be the lower tonic. 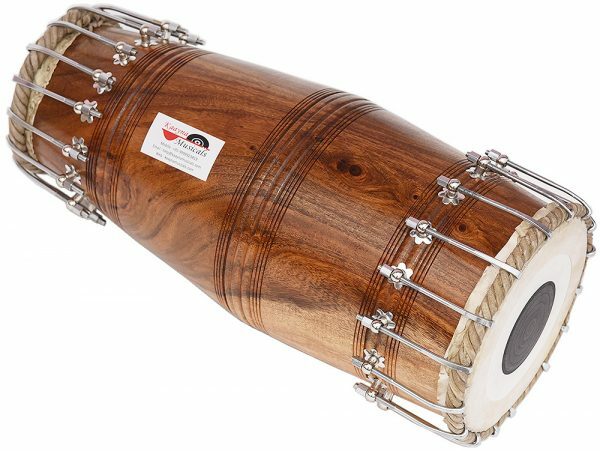 Mridanga Wood : 24 Inches.